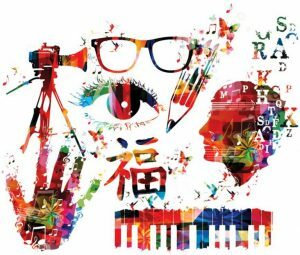 Whether you’re looking to challenge yourself with a new skill or deepen your understanding of a particular topic, The Center for Creative Living can help you reach your personal goals in order to achieve a more intellectually rewarding life. This popular book club meets the 3rd Friday of each month for engaging discussion about the following books: August 17: When Breath Becomes Air by Paul Kalanithi, September 21: We Were Yours by Lisa Wingate, October 19: A Tree Grows in Brooklyn by Betty Smith, November 16: The Language of Flowers by Vanessa Diffenbaugh. “Fall Book Club” will be held every third Friday, Aug 17-Nov 16 from 2-4 p.m. The cost is free. In “Financial Fraud and Identity Theft: Protecting Yourself in an Unsecure World” learn to safeguard your accounts from hackers, viruses and scams and to understand the latest Social Security fraud and identity theft schemes. Discover how to avoid costly mistakes with your secure information. Learn to protect your credit report and ways to ‘lock’ or secure your credit report from perpetrators while learning about current schemes targeted at retirees. Brianna Perry is a licensed Financial Advisor specializing in holistic financial planning. As a military spouse, Brianna serves the military of Moore County as a designated representative in the Sandhills. “Financial Fraud and Identity Theft: Protecting Yourself in an Unsecure World” will be held Thursday, Aug 16 from 6:30-7:30 p.m. In this four-week class “Financial 101: Back to Basics,” focus on financial topics building a baseline understanding of investment economic terms and definitions. Survey the financial landscape from a beginner’s perspective laying a foundation for your future. Topics include: budget and healthy spending, how to create a sustainable annual budget, benefits of a college savings plan and how to maximize and create employer sponsored retirement plans. Discover the value of basic financial instruments: stocks, bonds, mutual funds, life insurance, long-term care and annuities. “Financial 101: Back to Basics” will be held Thursdays, Aug 23 to Sep 13 from 6:30-8 p.m. The cost is $75. Whether you need to speak French for business or personal reasons, our classes are a great way to learn. “Beginning French Conversation” introduces you to basic vocabulary and expressions used in everyday situations. Beginning lessons cover asking and responding to simple questions, engaging in simple conversations and interacting in social, business, and travel situations. Students read a variety of basic written materials and learn to write simple sentences needed in everyday life. “Beginning French Conversation” will be held Tuesdays and Thursdays, Aug 23-Sept 18 6-8 p.m. The cost is $75. America the “melting pot” entices the lifelong learner whether you want to speak Italian for business, travel or personal enrichment. Learn la bella lingua. “Beginning Italian Conversation” introduces you to basic vocabulary and expressions used in everyday situations. Learn to use basic vocabulary and expressions used in everyday situations. Students read a variety of basic written materials and learn to write simple sentences needed in everyday life. “Beginning Italian Conversation” will be held Mondays and Wednesdays, Aug 20-Sept 12 from 6-8 p.m. In “Artisan Breads for the Home Baker” alongside Chef Brunner, learn to create soft rolls, grissini bread sticks, focaccia and French Country Breads. Learn from one of the best in this two-day class! “Artisan Breads for the Home Baker” will be held Monday, Aug 20 and Tuesday, Aug 21 from 3-6 p.m. The cost is $150. Italian buttercream and Austrian hazelnut torte—need we say more? In “European Tortes” Chef Brunner shares his grandmother’s recipes for making several cakes using various mixing methods. Bake and finish your own cake to take home as a manifest of your newfound baking talent. “European Tortes” will be held Tuesday, Aug 28 and Wednesday, Aug 29 from 3-6 p.m. The cost is $150. In “Homemade Pasta & Authentic Lasagna” learn to make homemade pasta from Chef Giorgia who is from Italy. Roll and extrude a variety of pastas. The second class make a classic lasagna from scratch with fresh pasta and Bolognese sauce. Be sure to experience this authentic Italian cooking. “Homemade Pasta & Authentic Lasagna” will be held Thursday, Aug 30, and Friday, Aug 31 from 3-6 p.m.
Register in the Sandhills Community College Continuing Education office located on the first floor of Van Dusen Hall on the Pinehurst campus at 3395 Airport Road. Registration by phone with a credit card can be made by calling (910) 695-3980. Registration hours are Monday through Thursday, 8 a.m. until 5 p.m. and Fridays 8 a.m. until noon. 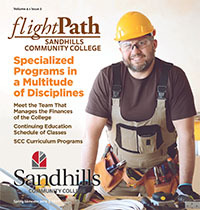 You can pre-register online at http://www.sandhills.edu/continuing-education-registration-sandhills-community-college/. There are many more class offerings. Visit http://www.sandhills.edu/lifelong-learning-institute-classes/ to learn more.